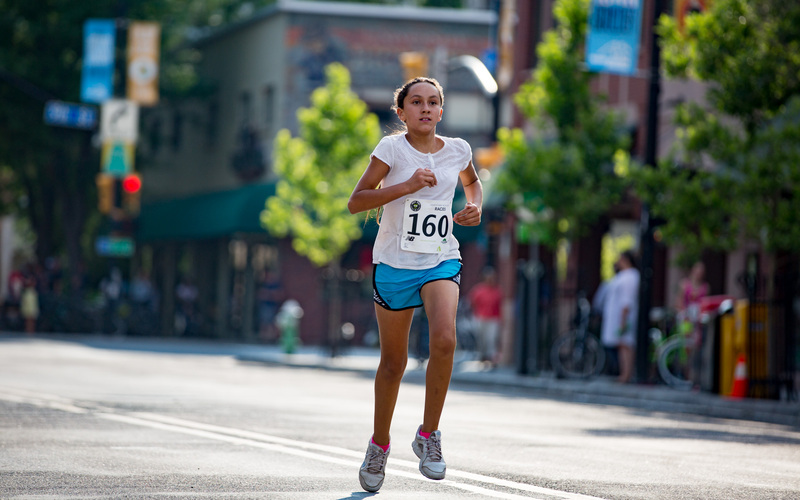 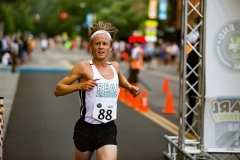 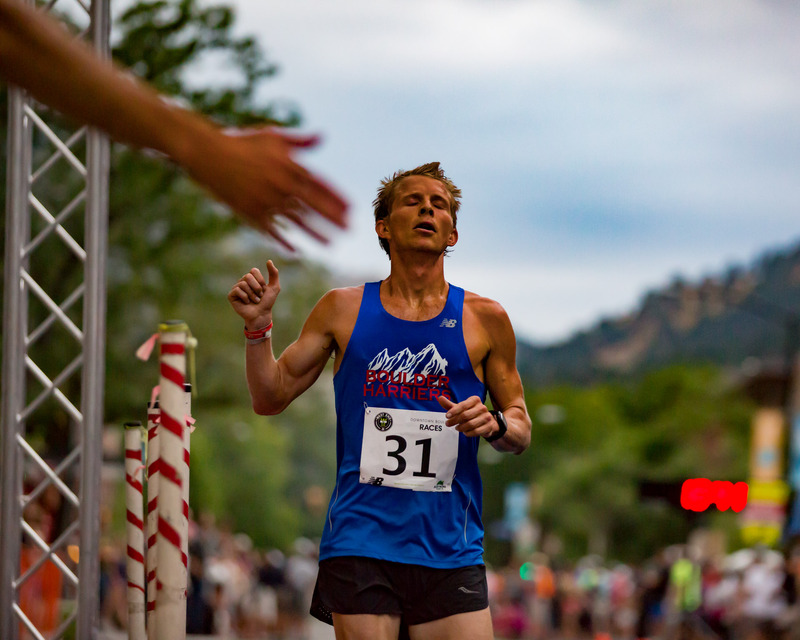 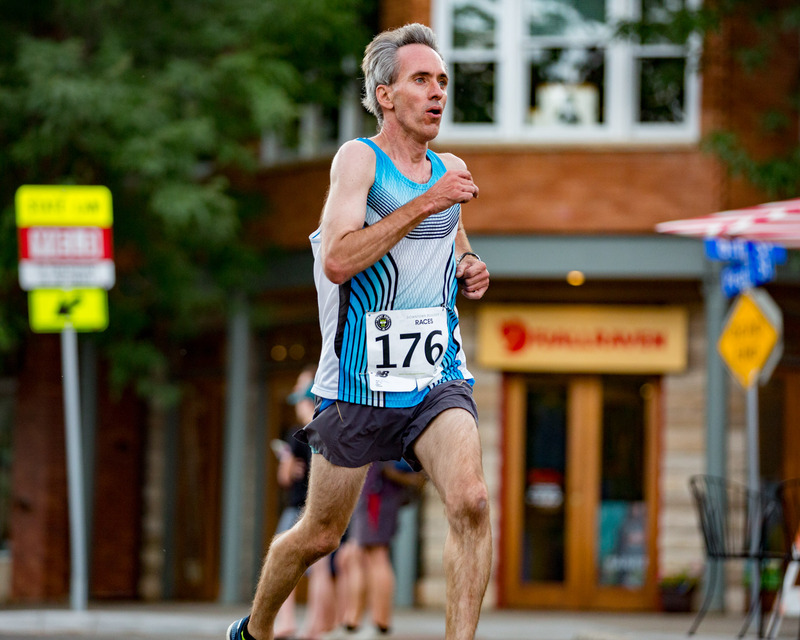 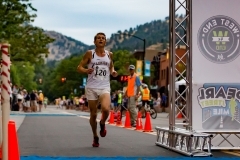 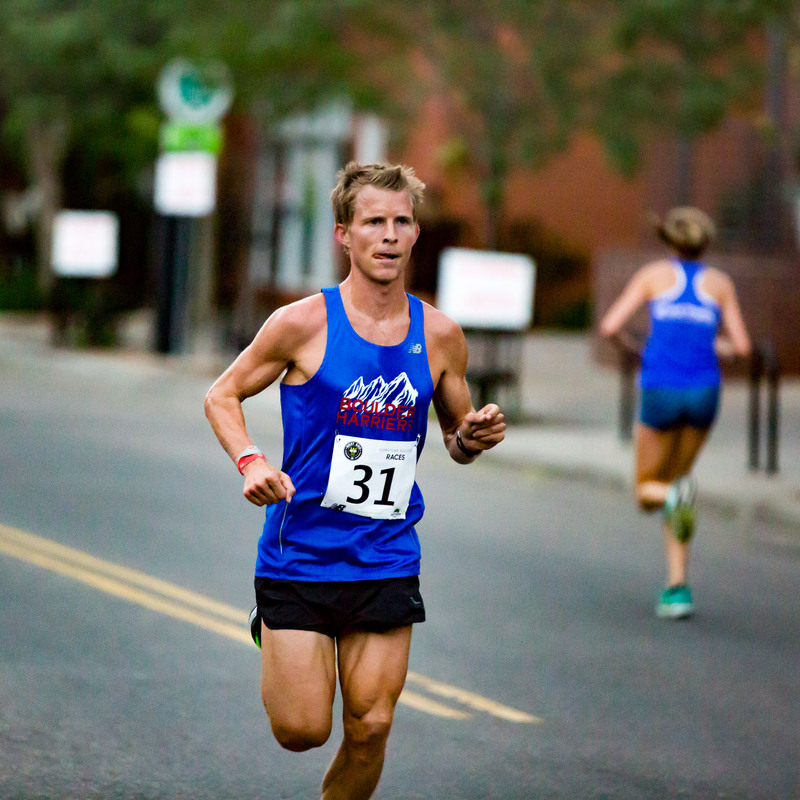 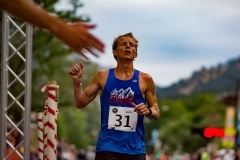 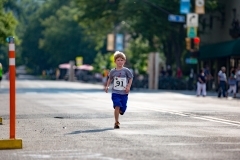 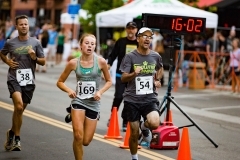 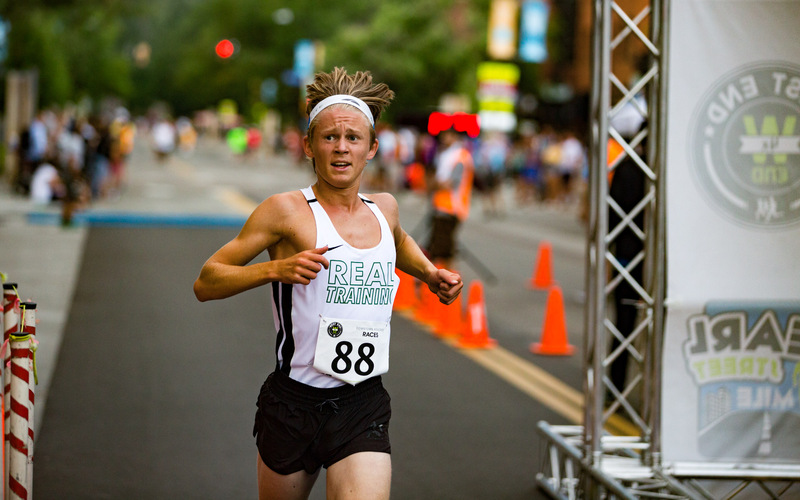 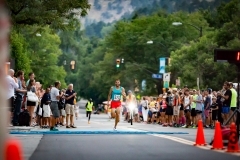 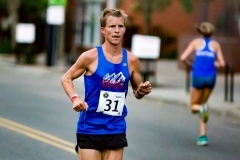 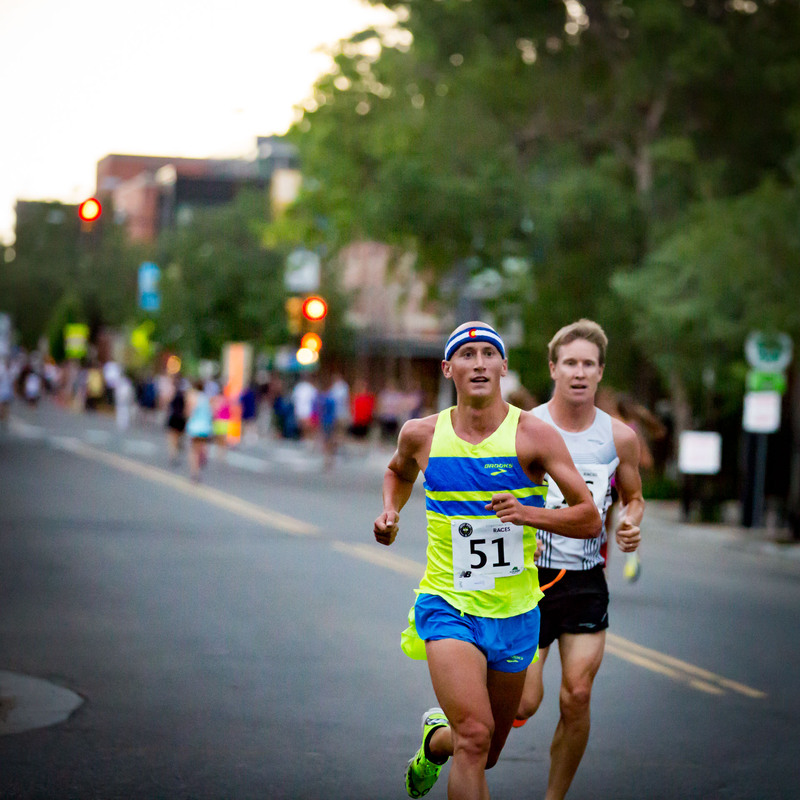 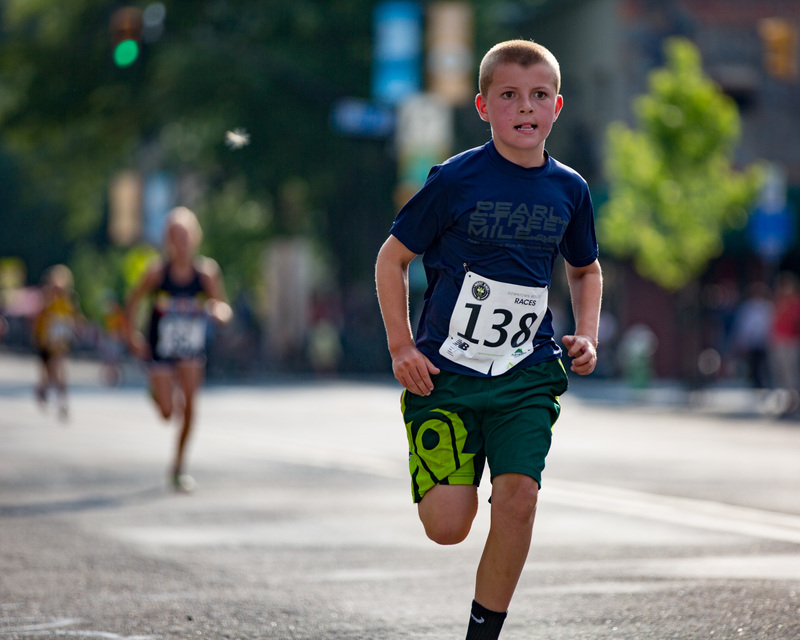 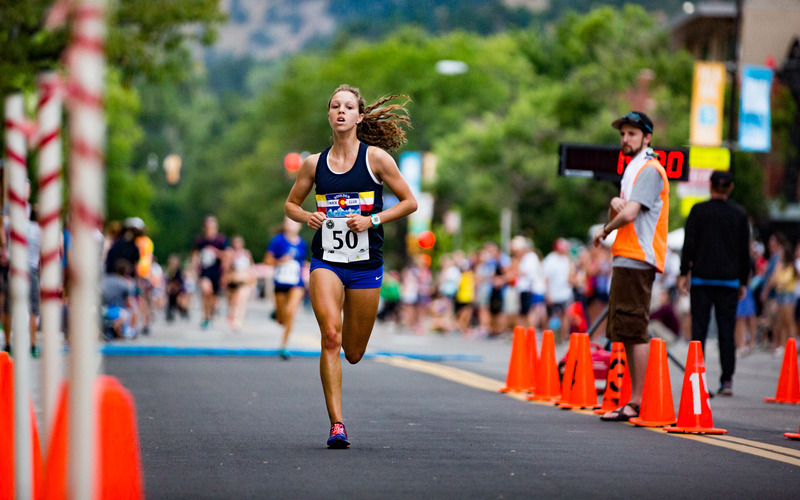 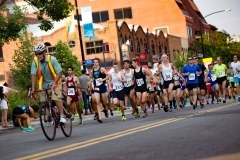 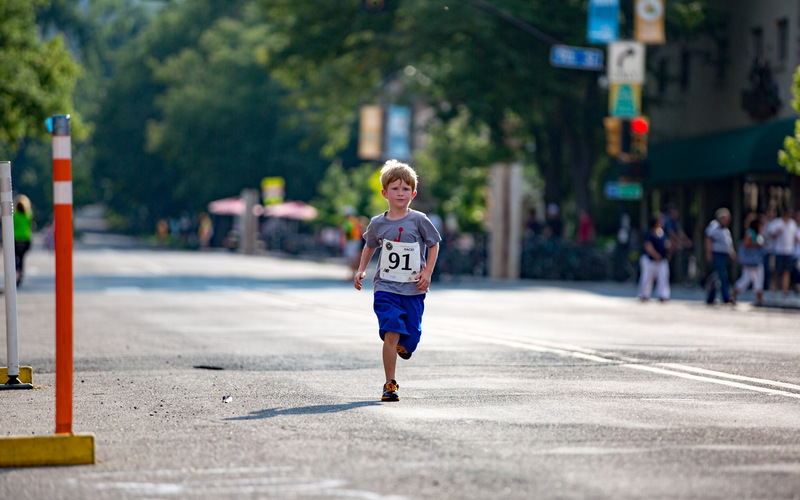 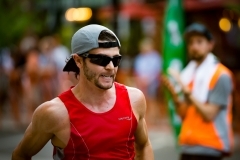 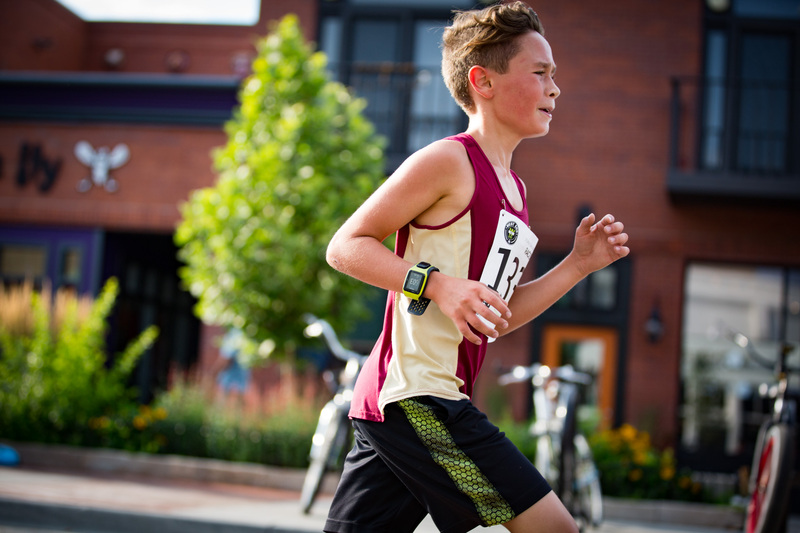 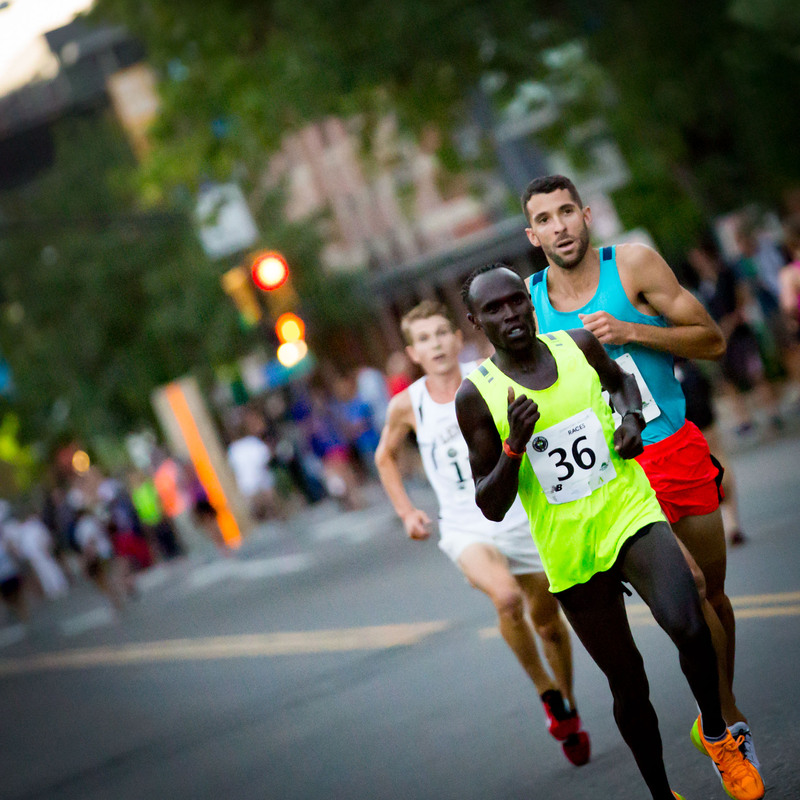 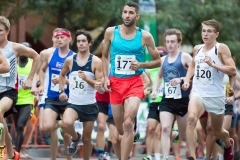 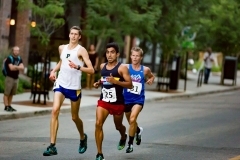 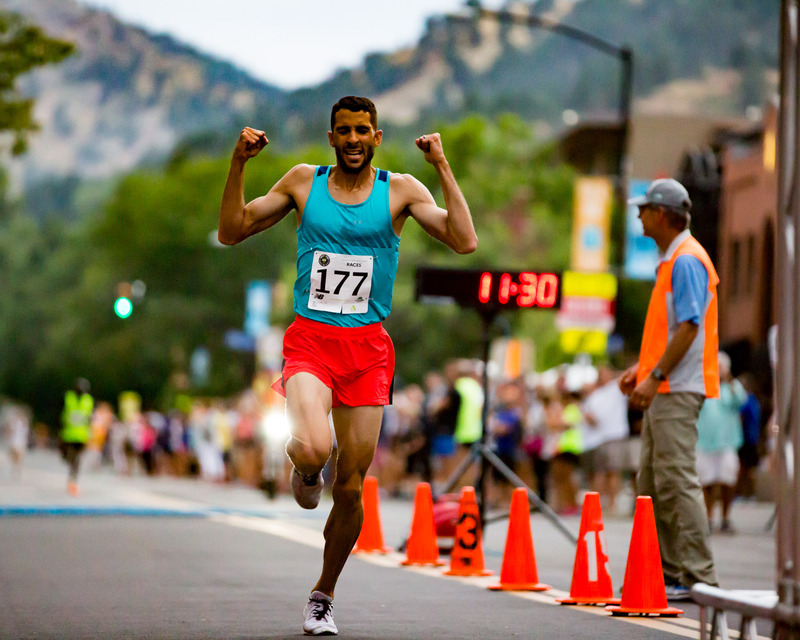 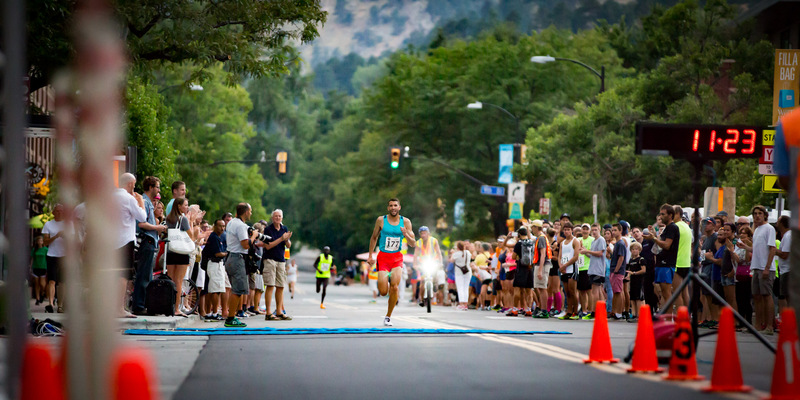 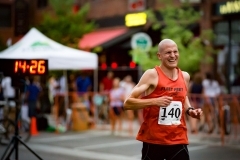 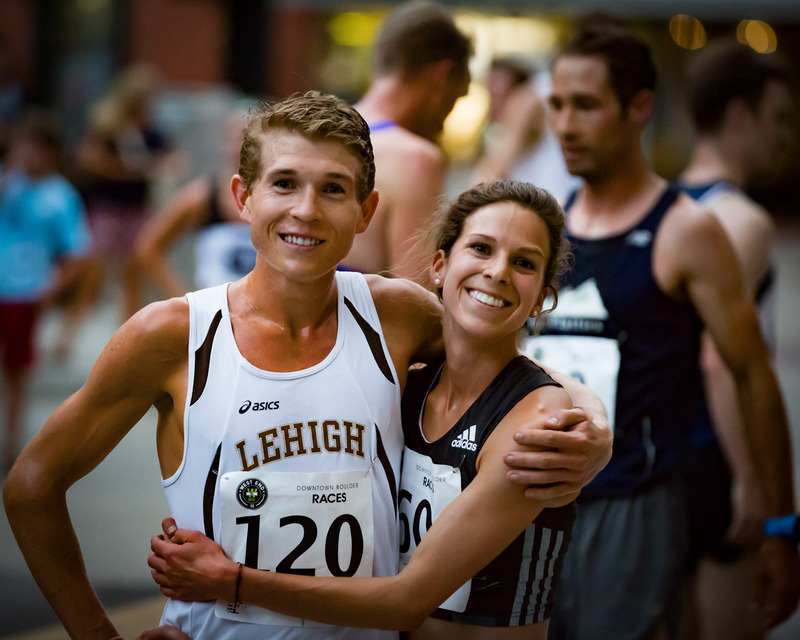 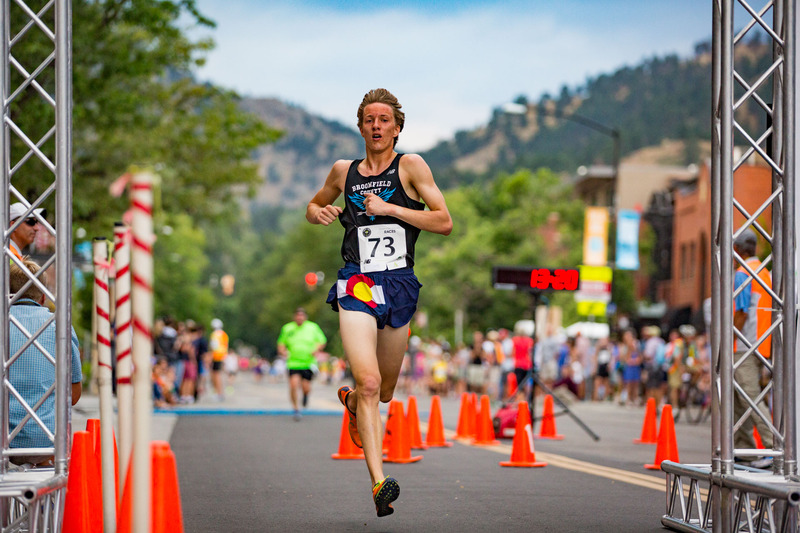 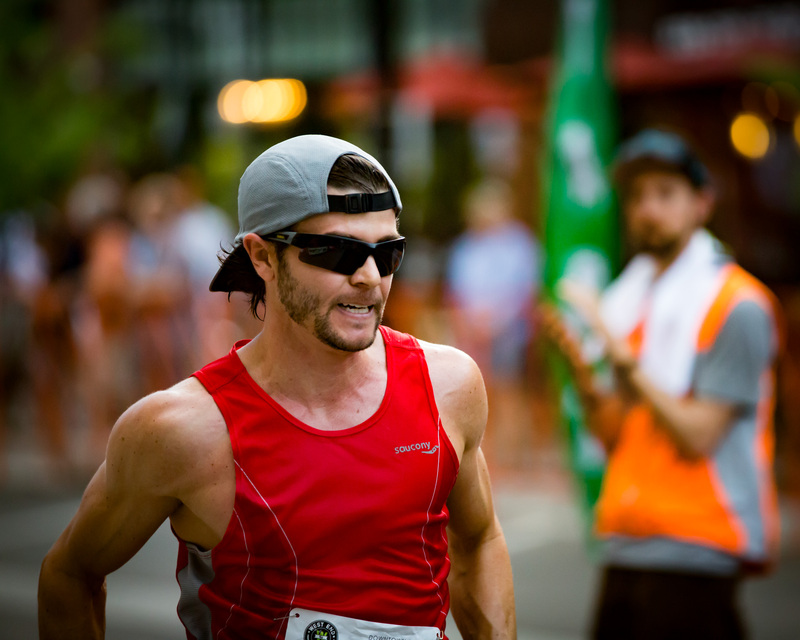 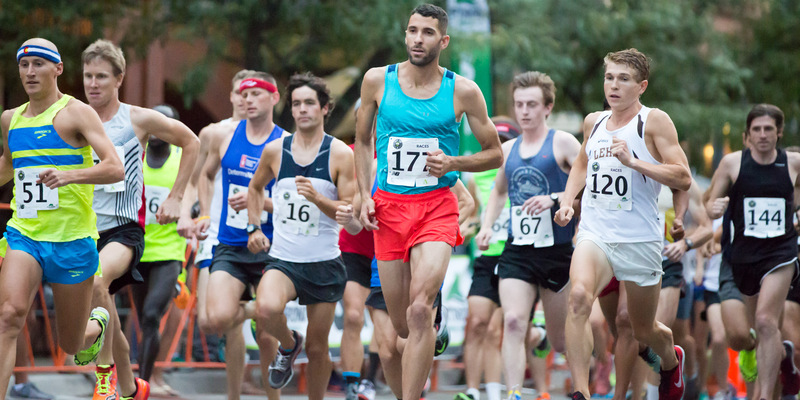 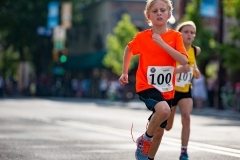 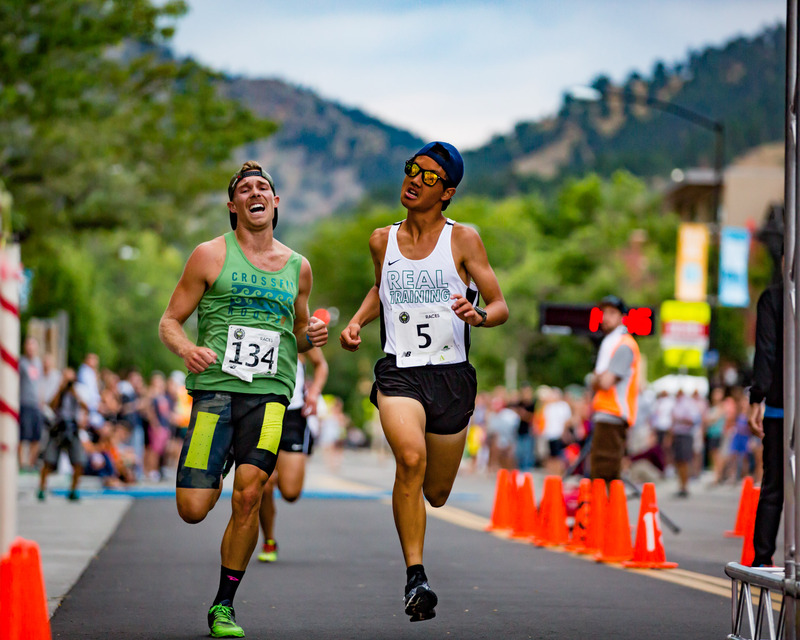 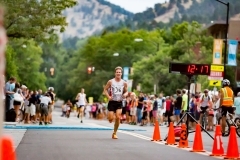 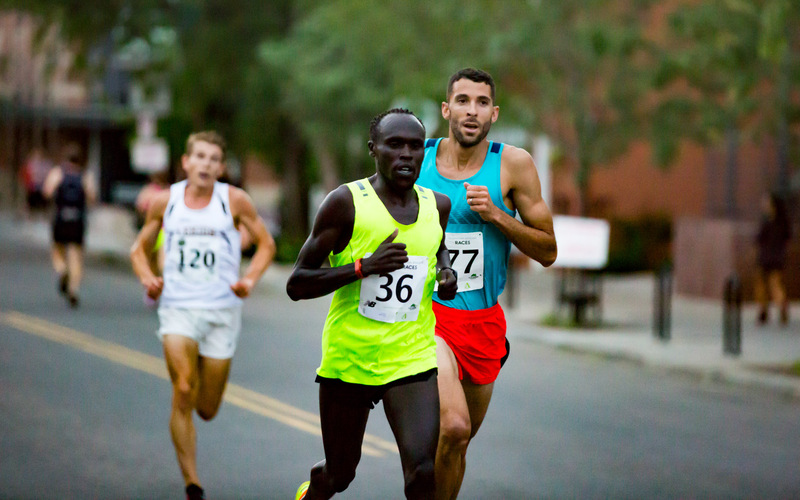 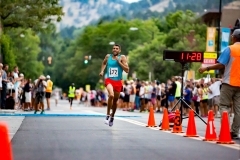 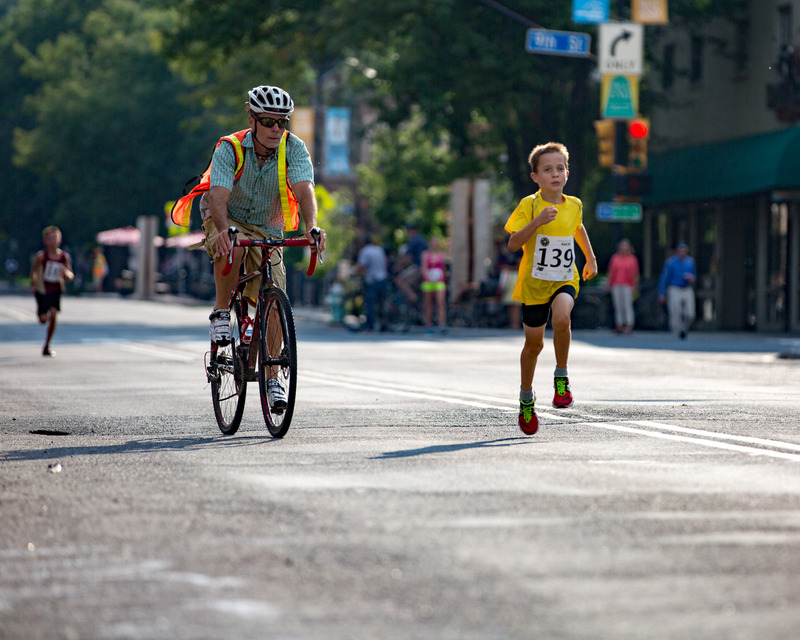 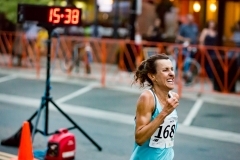 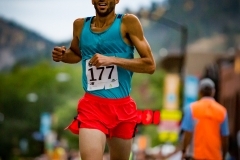 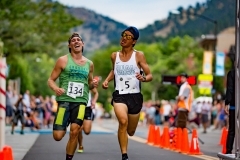 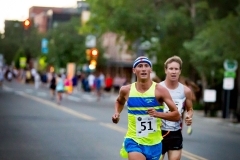 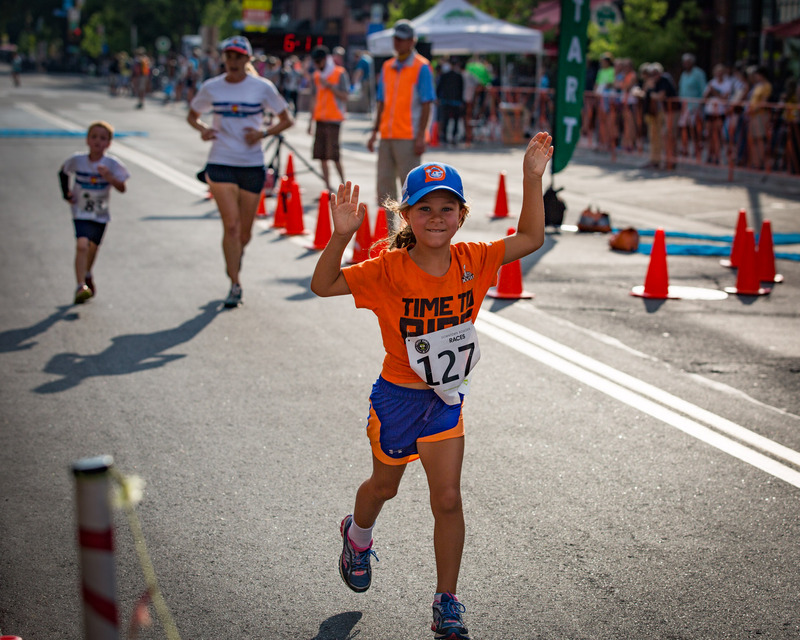 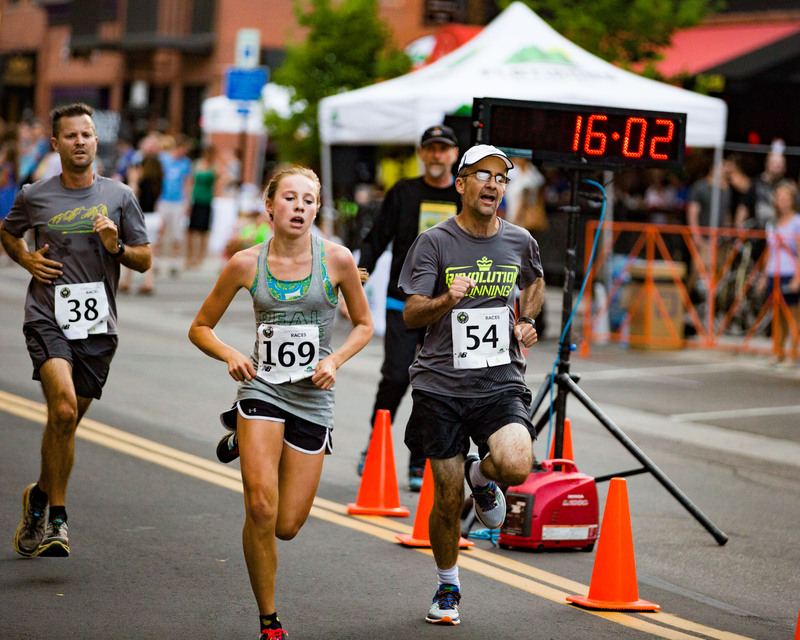 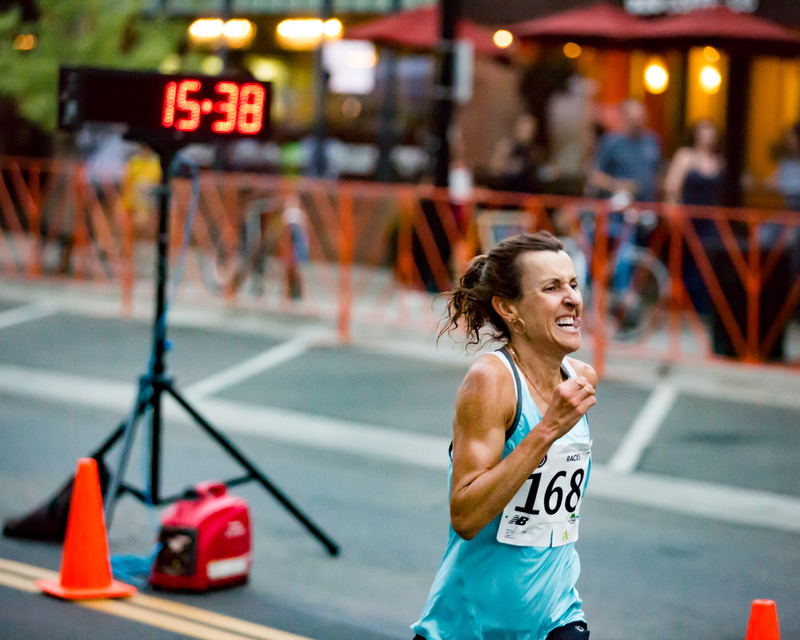 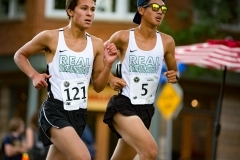 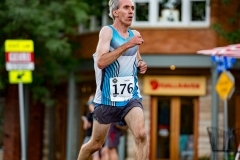 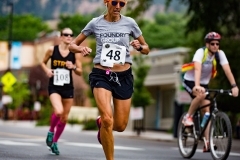 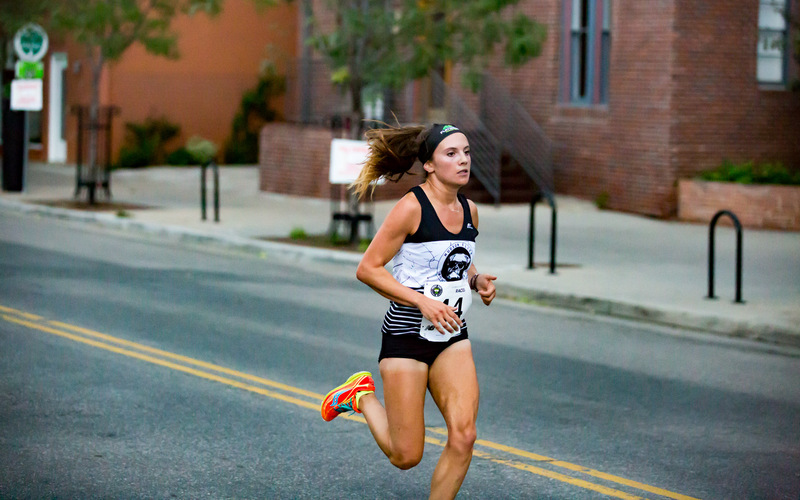 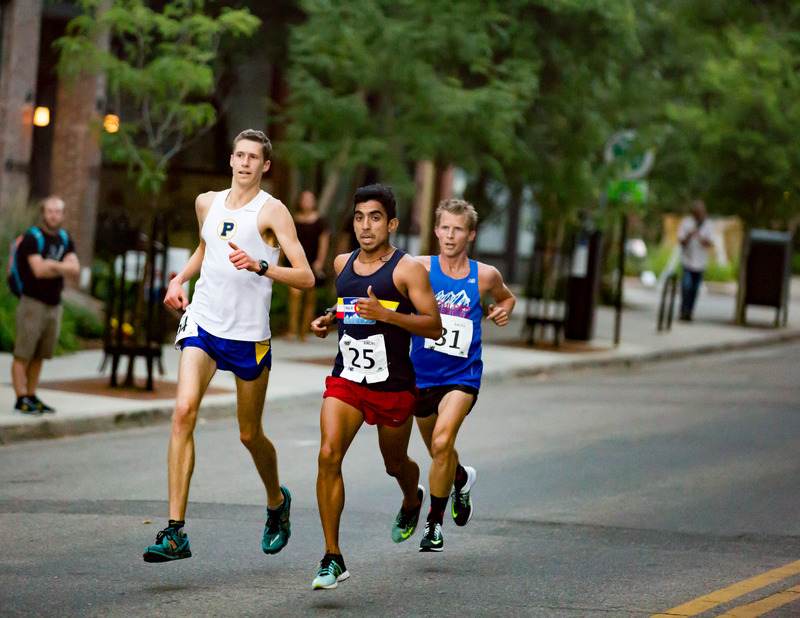 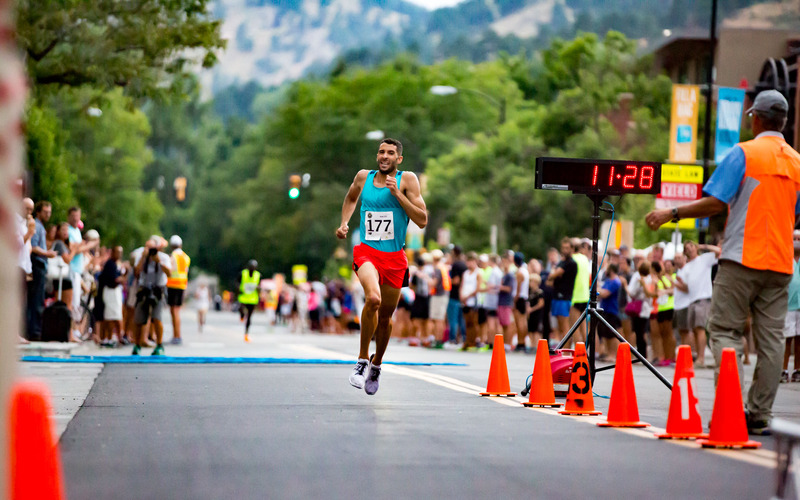 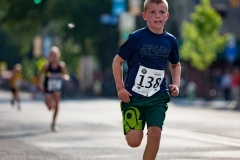 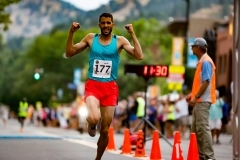 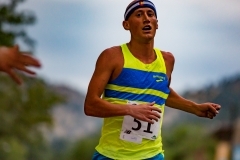 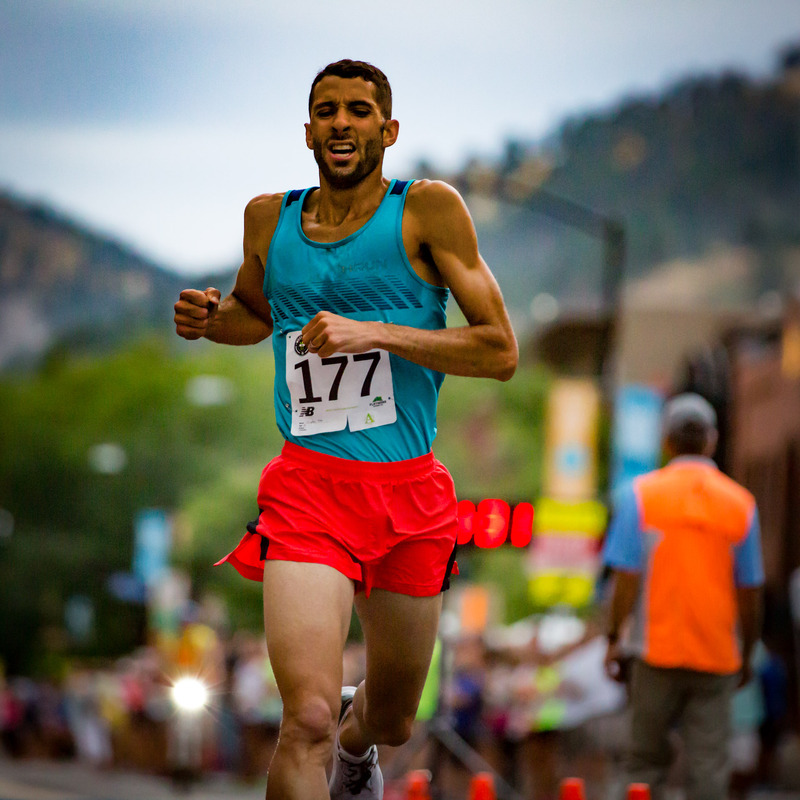 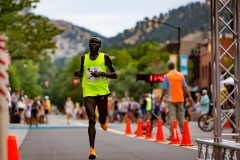 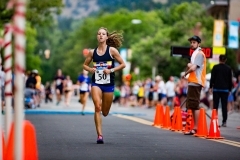 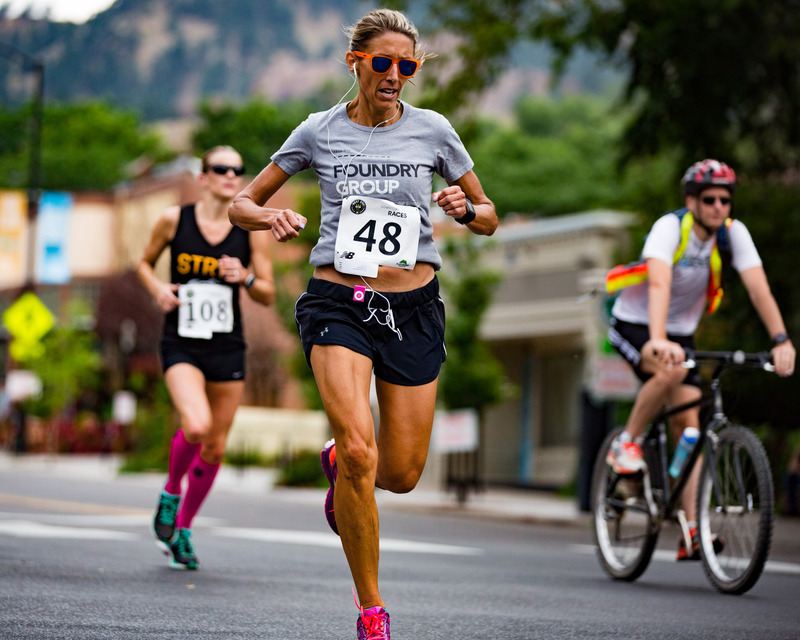 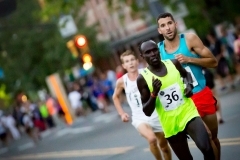 BOULDER, COLORADO (July 28, 2016) – Once a year on a Thursday evening in July, the West End 4K brings a festive and competitive atmosphere to the streets west of the Pearl Street Mall in downtown Boulder. 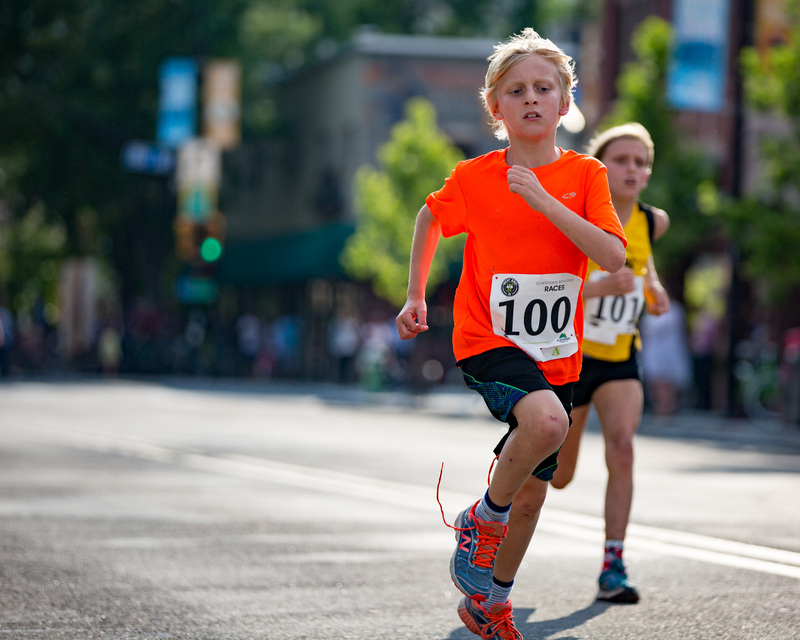 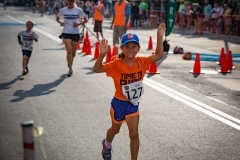 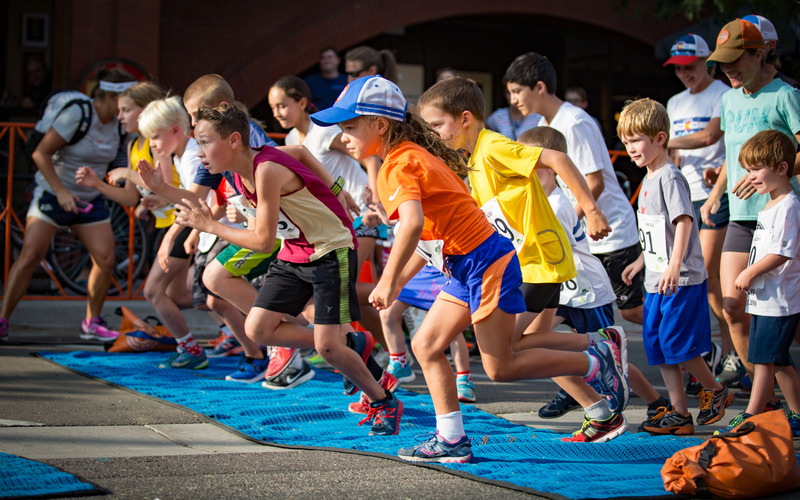 This year, the racing began at 6:00pm with a one-kilometer kids race, followed at 6:30pm with the corporate 4K, the open wave at 7:00pm, and the elite wave at 7:30pm. 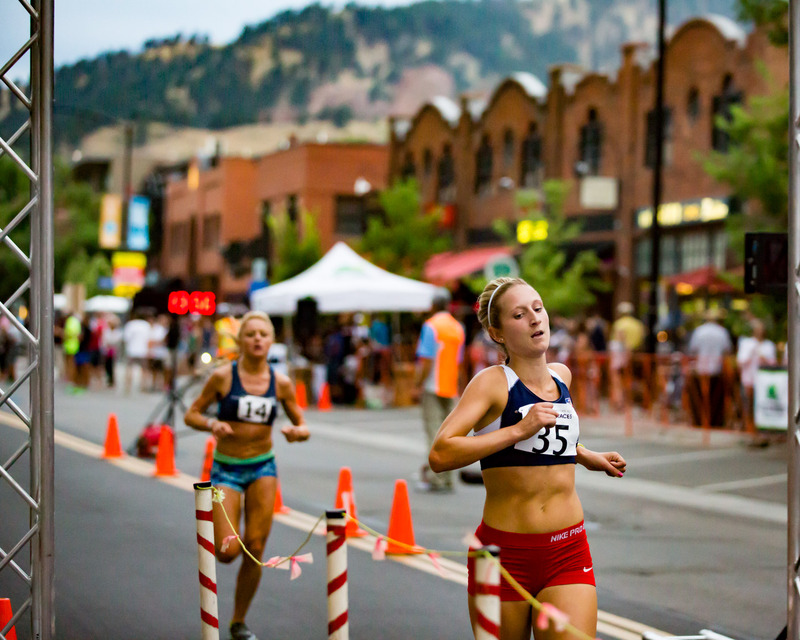 The course consists of a closed-to-traffic one-kilometer segment along Pearl Street between 3rd and 11th. 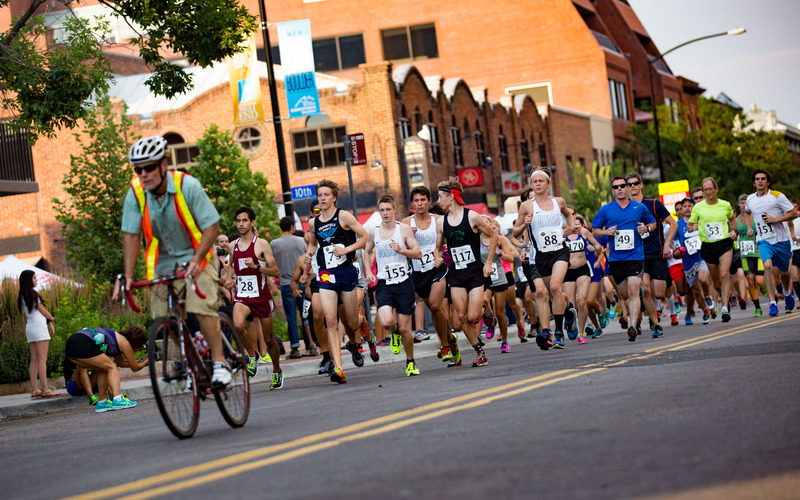 Competitors complete two loops for the 4K race. 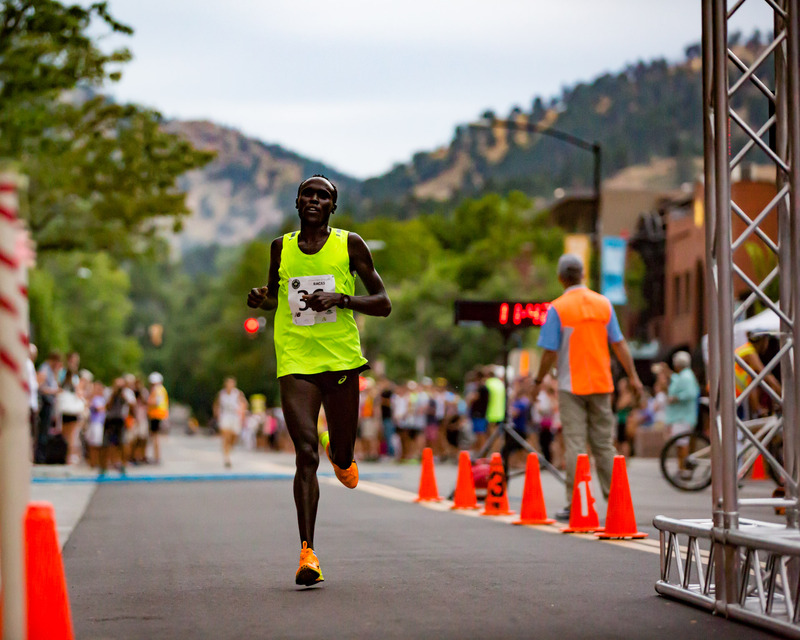 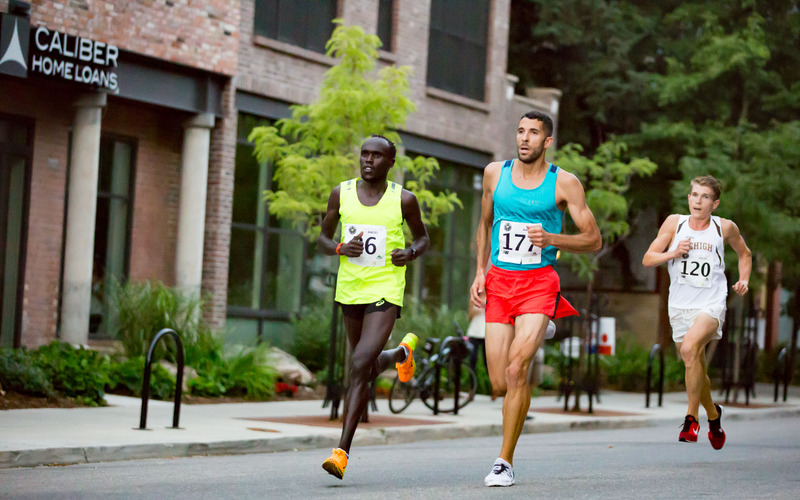 The men’s elite race saw a close battle up to the final stretch between three men: Kevin Kochei of Iten, Kenya, Stephen Pifer of Louisville, and Tyler Mueller of Boulder. 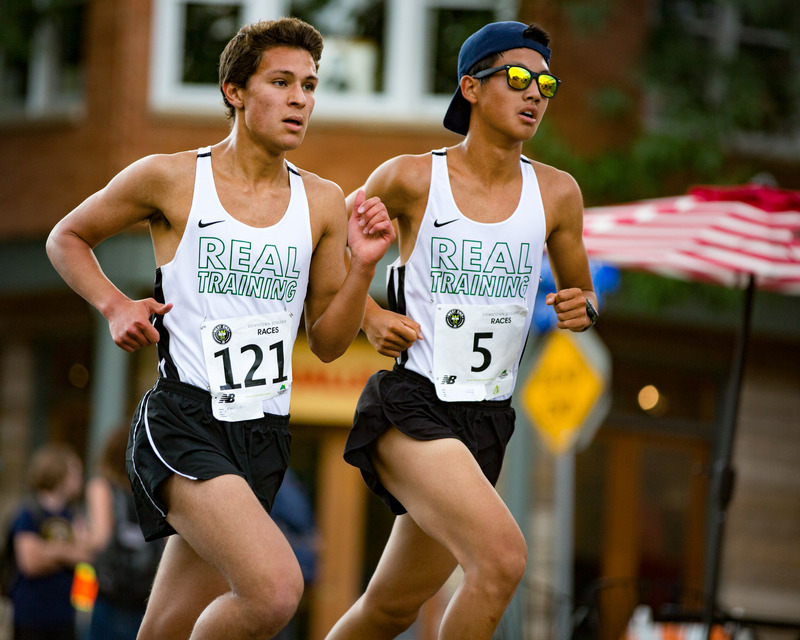 Kochei and Pifer led most of the way while Mueller stayed in contact. 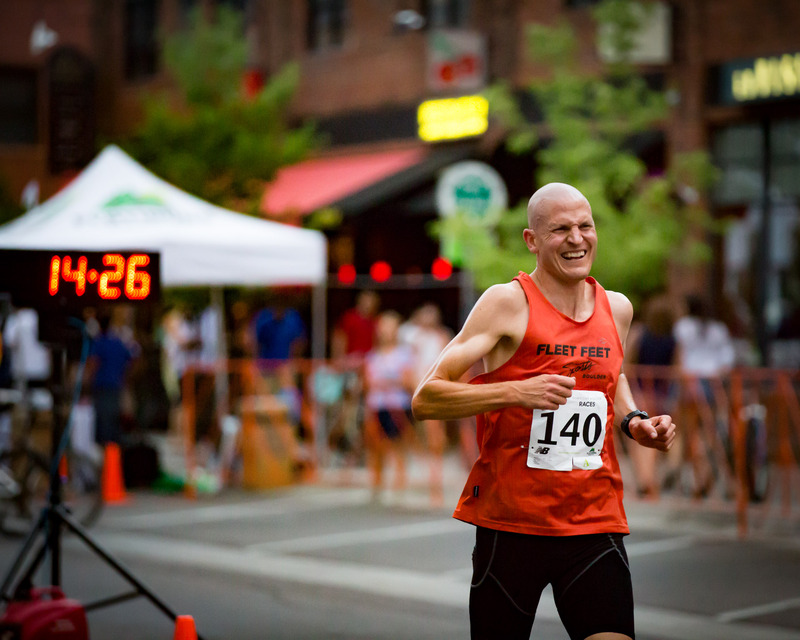 But Pifer was not to be denied victory as he unleashed a convincing final kick to pull away over the final block, winning in 11 minutes 30 seconds. 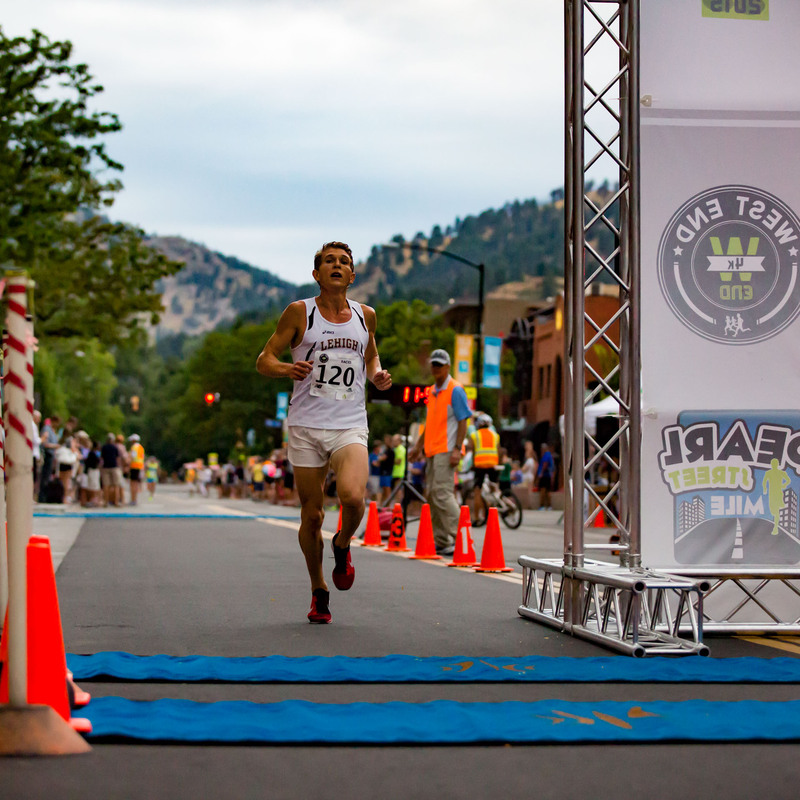 Kochei finished second in 11:41, and Mueller rounded out the top three in 11:50. 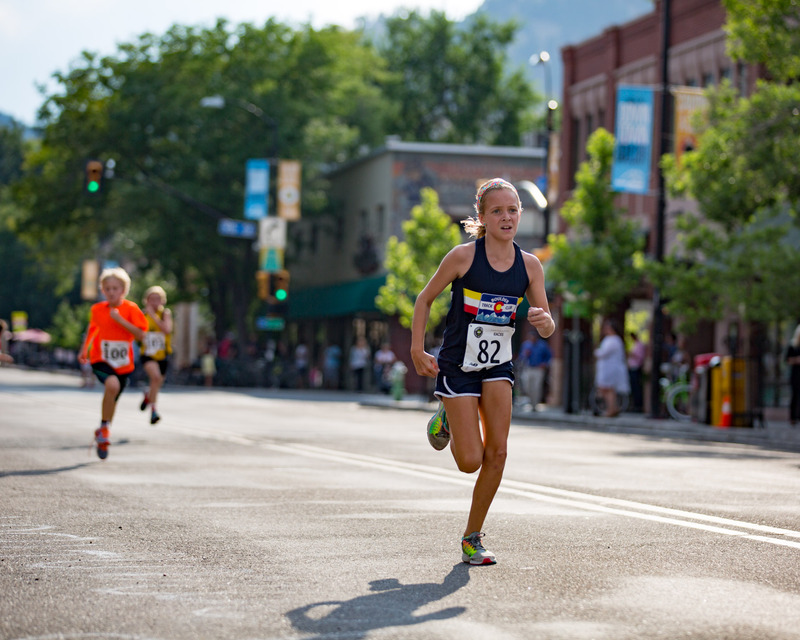 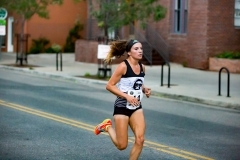 In the elite women’s race, Boulder’s Mara Olson led much of the way and didn’t allow her nearest competitors, Katie McMenamin of Lafayette and Kara Lubleniecki of Westminster, to stay close enough to benefit from running in her slipstream. 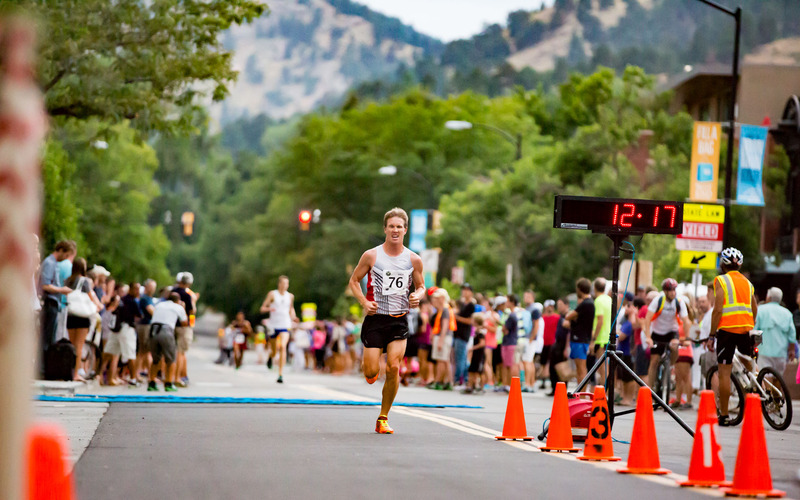 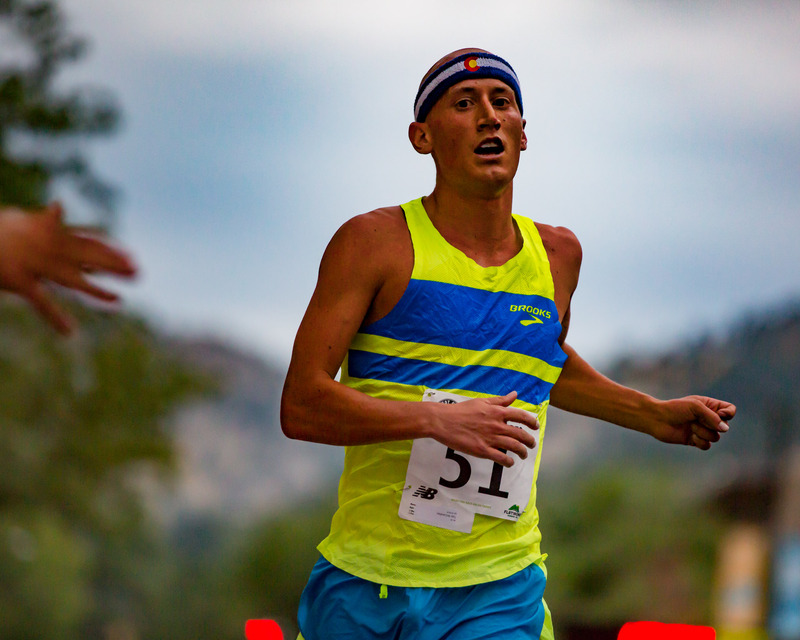 In the end, Olson crossed the line in 13:02 to claim the win. 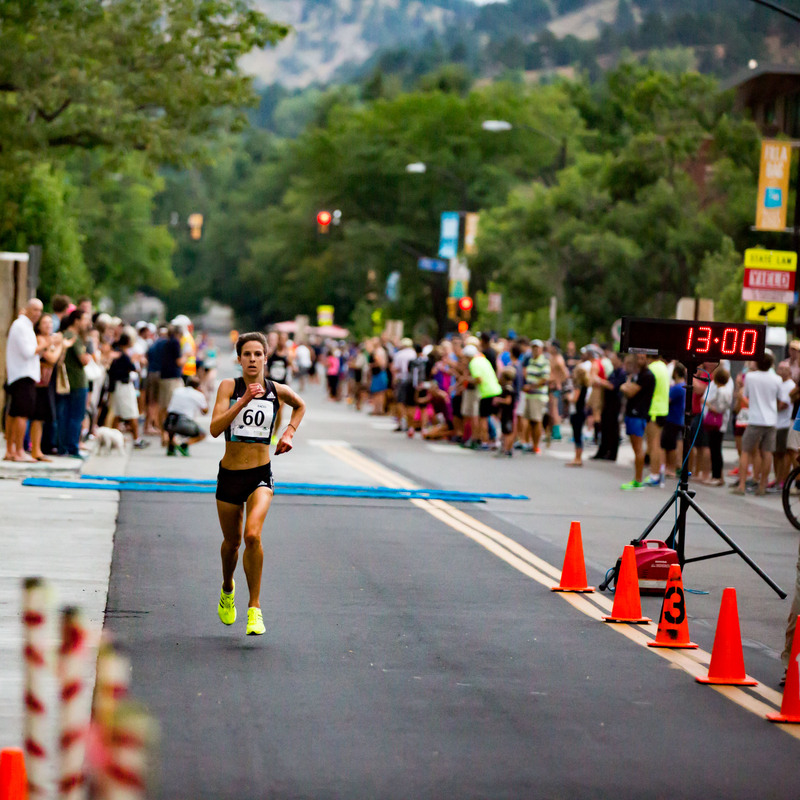 McMenamin finished second in 13:21, and Lubleniecki rounded out the top three women with her time of 13:31. 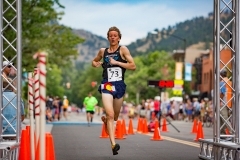 This entry was posted in Photos, Sports and tagged Boulder Reservoir, Colorado, Pearl Street, running, West End 4K.